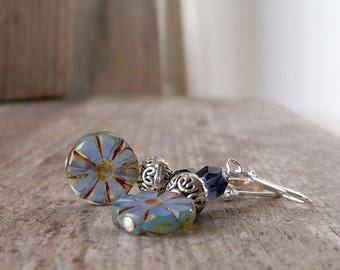 These earrings look great with jeans or all dressed up.I have a few items with this beautiful blue. 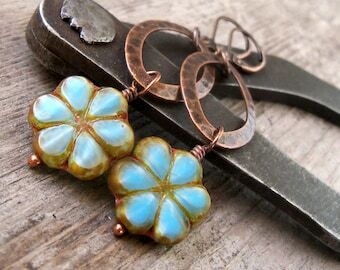 These are light weight and are sure to become your "grab and go" pair of earrings for every day. I have lots of mix and match items available in this color range. If you want something longer with these beads, please ask. 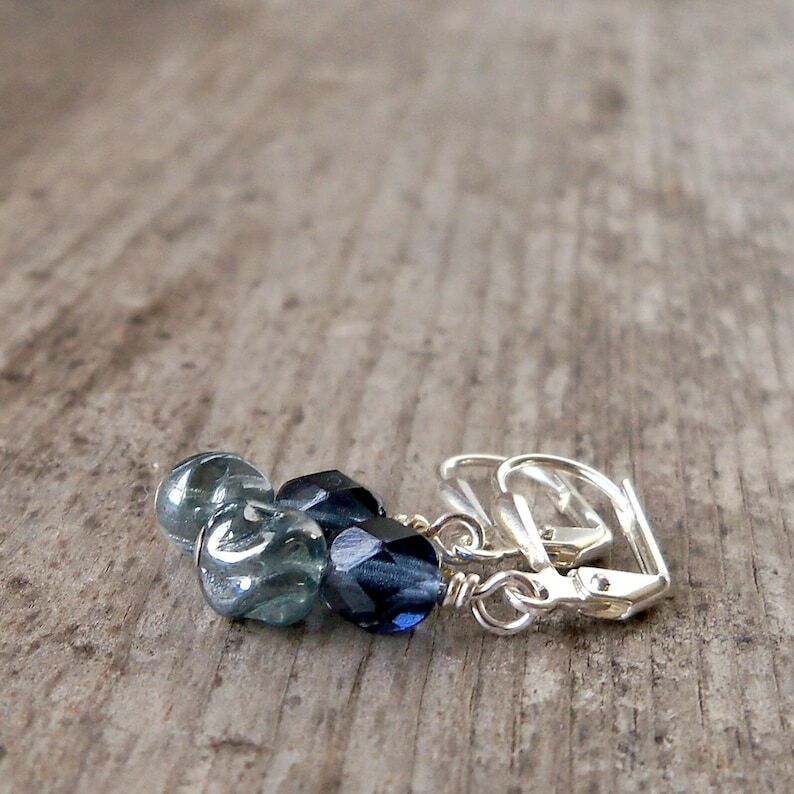 The earrings are just over 1 inch in total length. I love these - they were packaged nicely and would make a great gift.